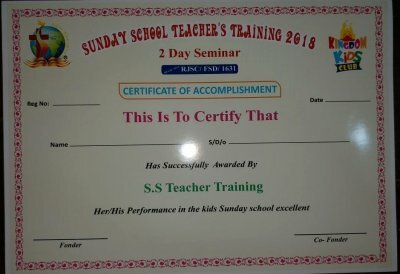 Have adults something to learn from children? 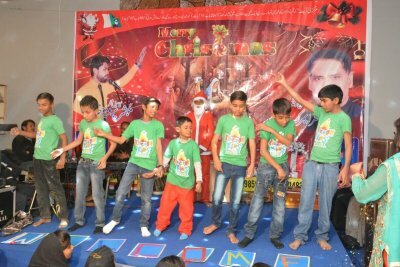 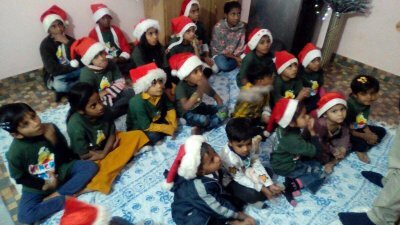 Kids in Serum enjoyed a Christmas party, December 16, 2018. 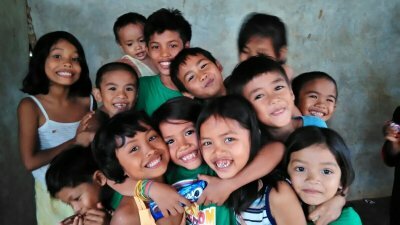 The kids belong to the poor Ati tribe, an indigenous people living in Guimaras island, Philippines. 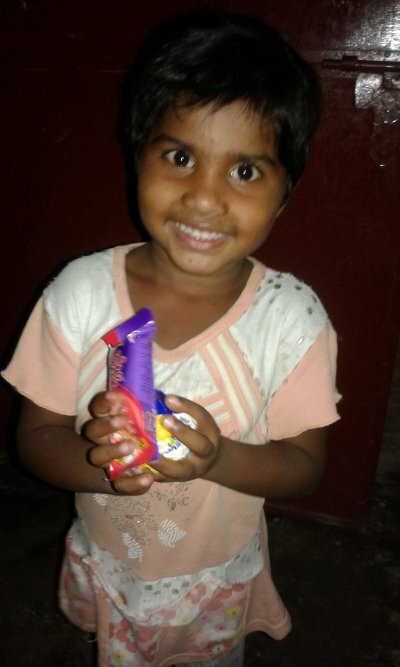 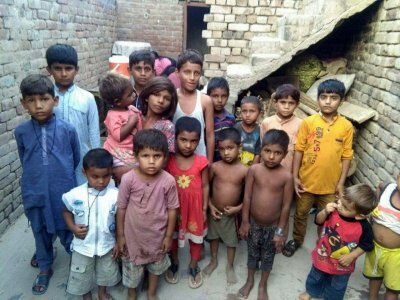 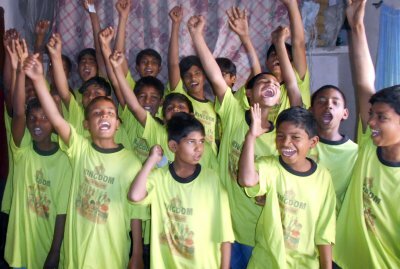 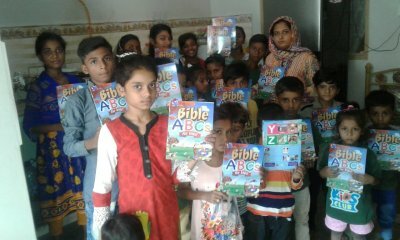 KKC Christian Sunday school will be arranged for these kids during 2019, a collaboration between KKC and the missionaries Mr. Jorgen and Mrs Florence Milton from "Barmhärtighetsmissionen"
Evangelist Mr. Javed Alam, the founder and chairman of "Children Care Ministries Pakistan (CCGMP)", executed distribution ceremonies of the "Bible ABCs for kids" to hundreds of kids living in and around Lahore, Pakistan. 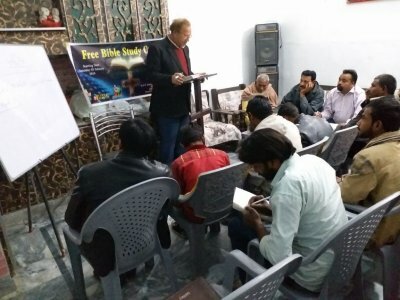 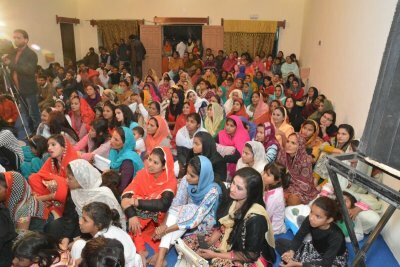 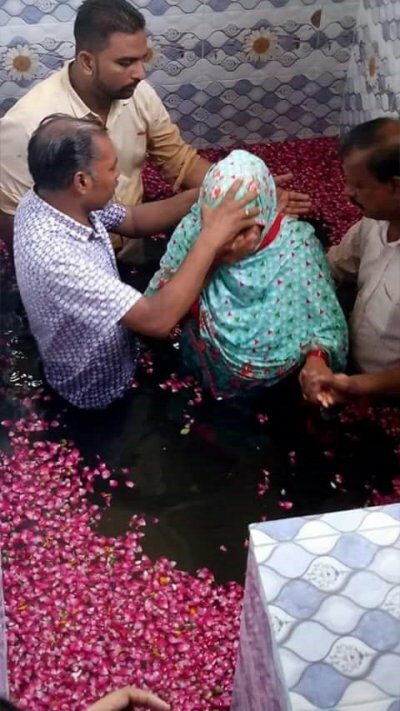 Evangelist Nabeel Amanat and Pastor Imran from "Foundation in Christ ministries (FCM) Faisalabad in Pakistan, did a visit in October 2018 to Faith Gospel Assemblies in Khanewal (upper photo), where they preached about "mercy and real repentance". 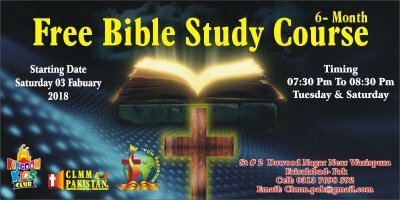 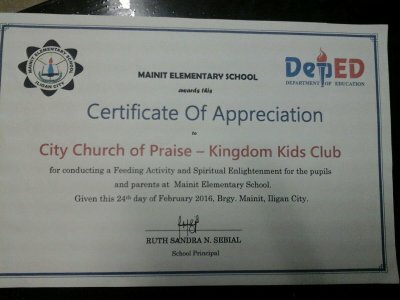 They also gave a seminar for the bible students on the topic "Importance of children and how to train them on right way". 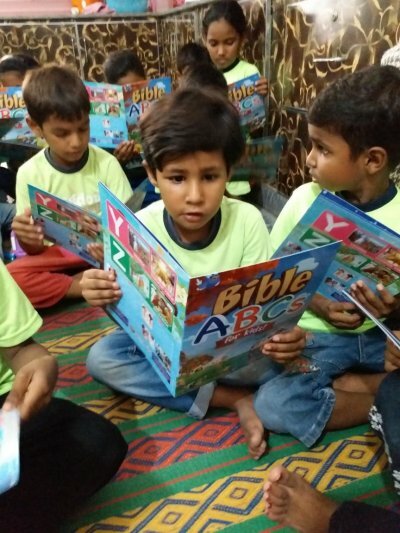 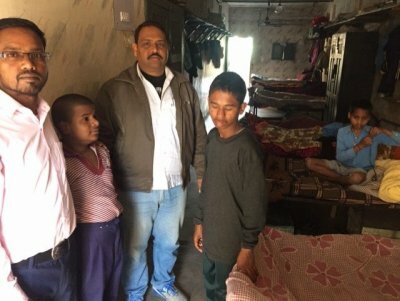 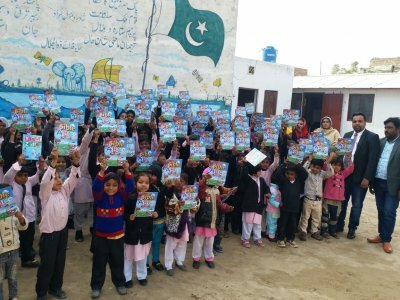 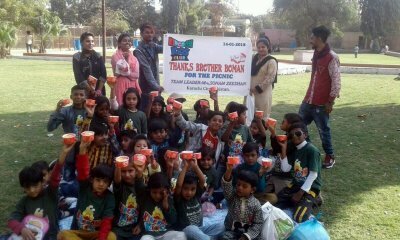 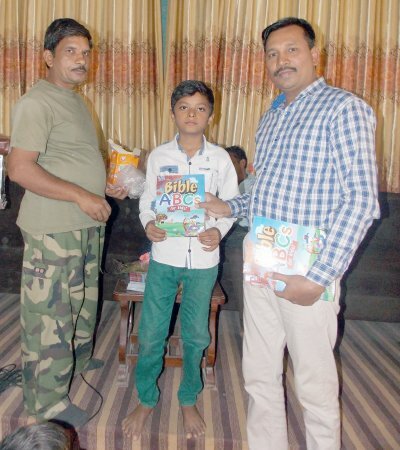 Nabeel and Imran met many kids there and distributed the "Bible ABCs for kids"
In addition, in January 2019 they went to Bahawalpur to give the same seminar, in a Methodist church, and for handing over 150 books to Sunday school teacher Mr. Asif Aziz and his kids (the bottom photo). 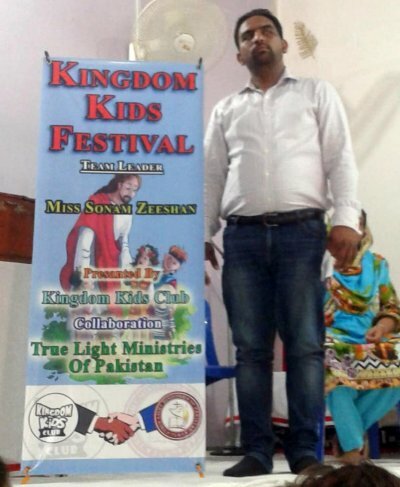 KKC Karachi, in collaboration with "True Light Ministry", arranged a movie festival September 20, 2018. 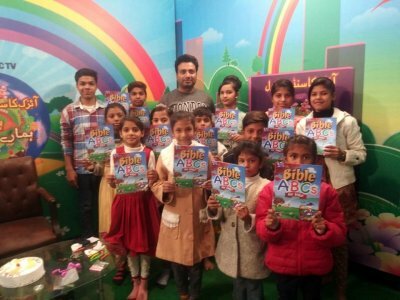 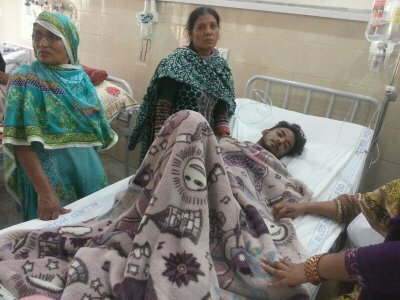 About 200 kids from all over Karachi in Pakistan, originating from five different Sunday school groups, were picked up by busses and then joined for watching a Christian movie. 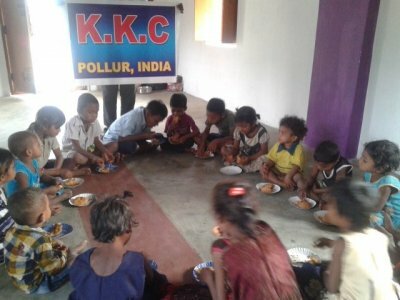 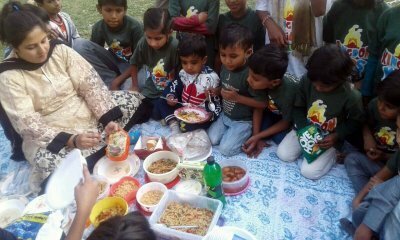 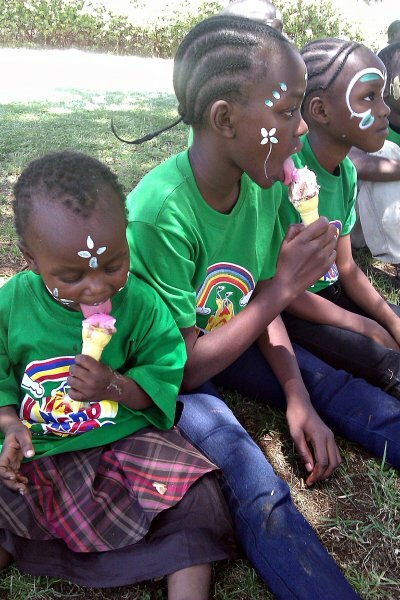 The kids also ate yummy food, sang together, and got trained in faith, hope and love. 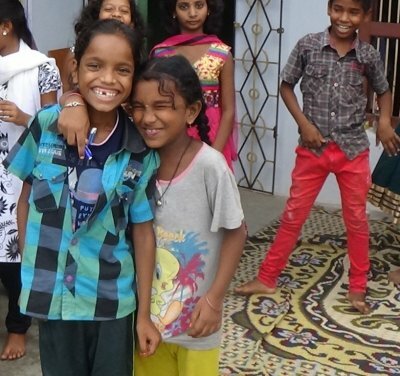 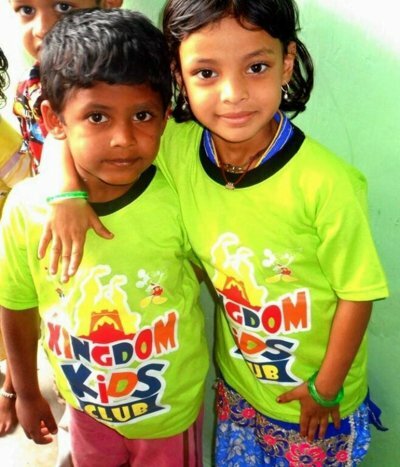 Greetings from the KKC Punjapai kids, living in the beautiful mountain village located in Odisha state, India. 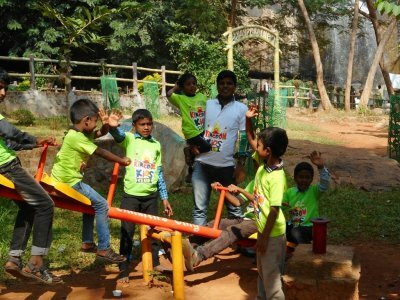 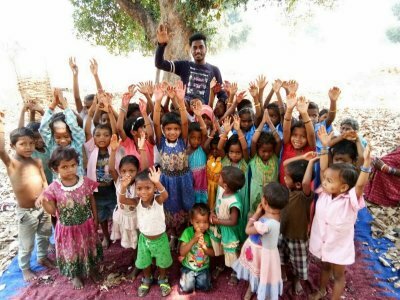 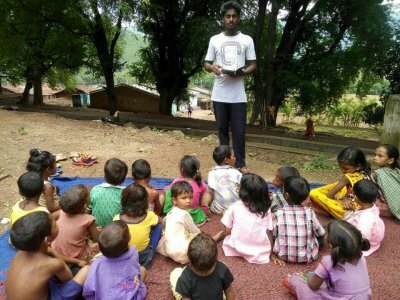 The Christian Sunday school teacher, Mr. Manasha Chandraguru, was training the kids, April 2018, in what way to go (Proverbs 22:6). 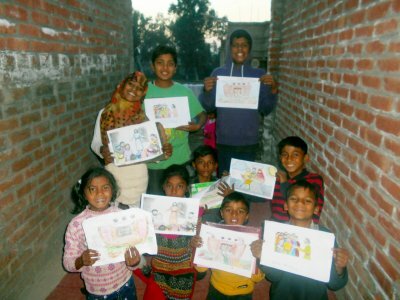 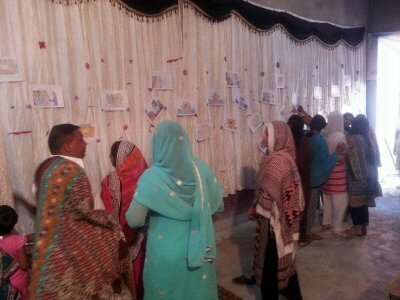 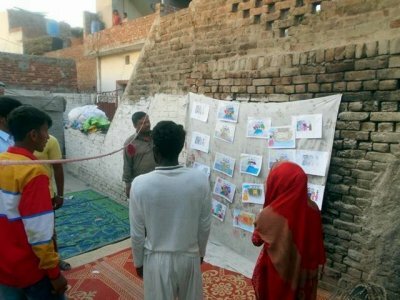 A collaboration with "Care for kids ministry"
About 12 adults showed up on KKC´s world-wide painting exhibition arranged by KKC Kasur, Pakistan, in May 2017. 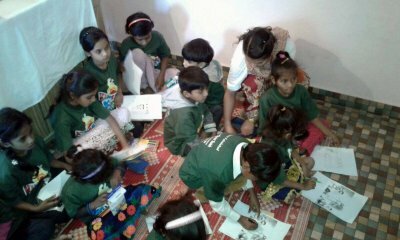 The adults were happy to see all the painting contributions and all participants got juice to drink and yummy cookies to eat. 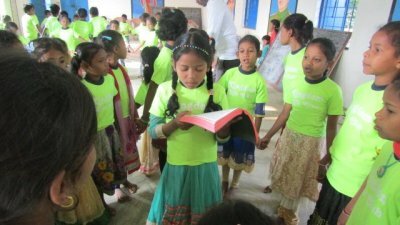 The kids sang psalm 136. 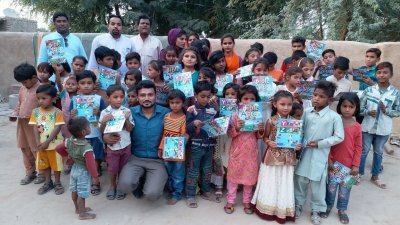 KKC Karachi, Pakistan, was the winner of the world-wide KKC painting contest 2017. 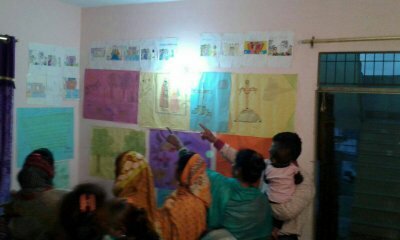 See some of the painting contributions from various participating KKC Sunday schools, and all of the painting exhibitions. 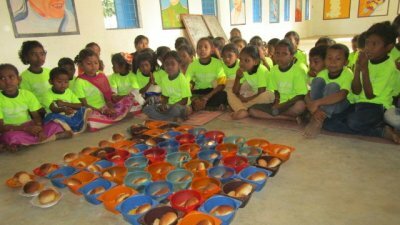 The prize that all participans received was to arrange painting exhibitions for adults with lots of yummy food and kid-entertainments. 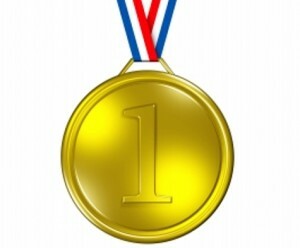 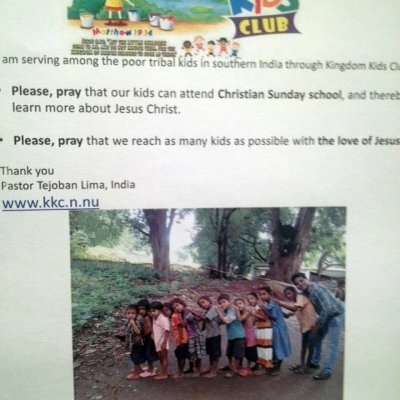 The contest was noticed by the Christian TV channel Himlen TV7, where Kerstin was one of the sponsors. 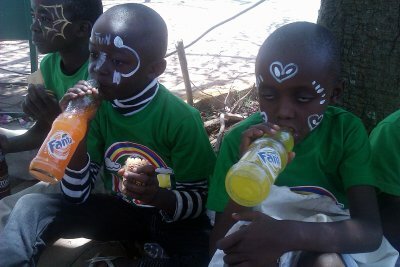 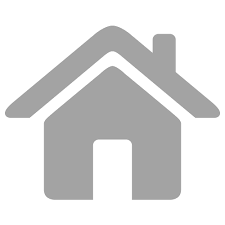 Other sponsors were the house renovation company Renovering62, and the energy saving company Ekonomi Spararna. 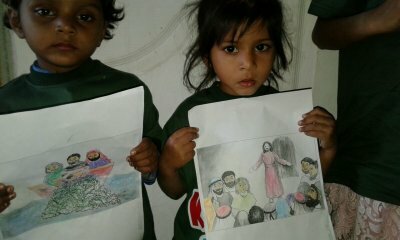 The painting templates used, with biblical motives, were created by the painting artist Mila Lehtonen from Finland. 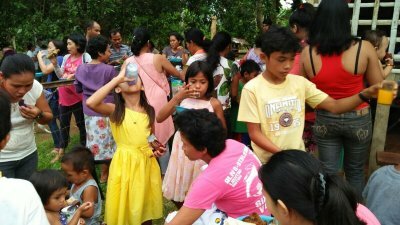 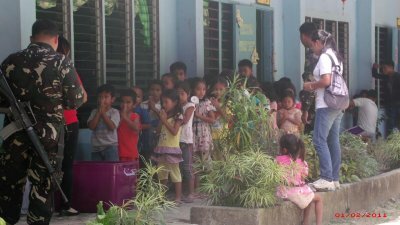 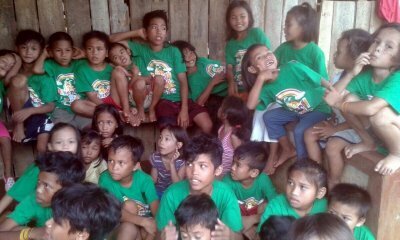 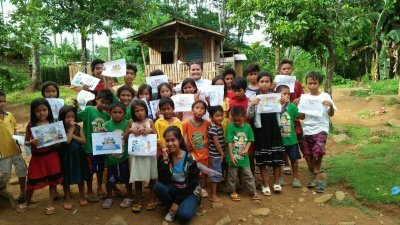 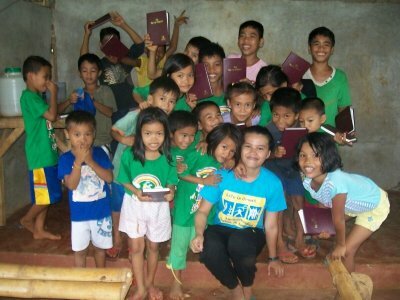 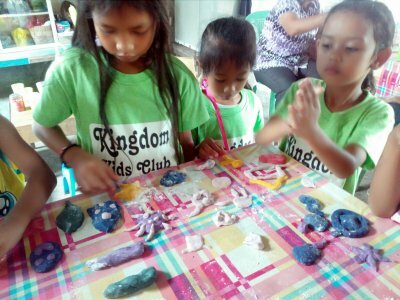 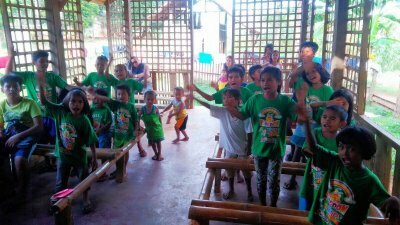 KKC Iligan City arranged Christian Sunday school in Upper Tominobo, Mindanao, Philippines, in March 2017. 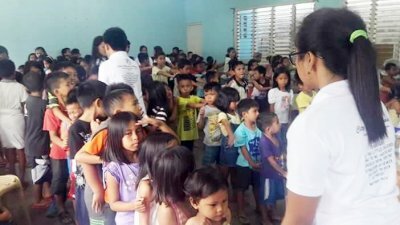 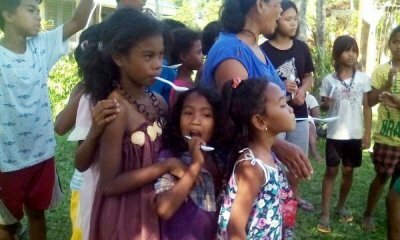 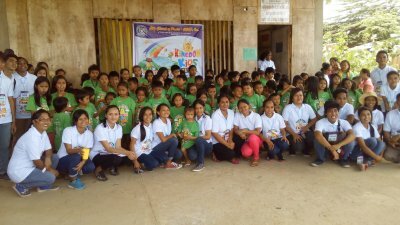 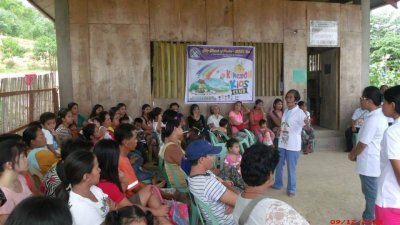 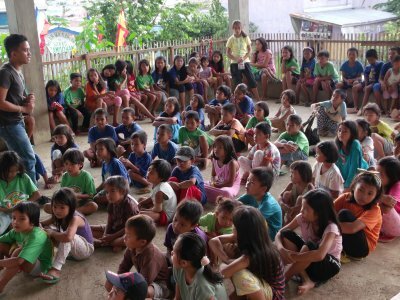 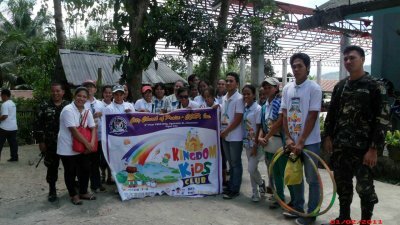 The KKC team, dressed in white t-shirts and escorted by the army of Philippines, experienced huge problems when they tried to perform the activities, as about 300 kids came and it was very crowded, said the KKC team leader Mr. Noriel Manigque Ansing. 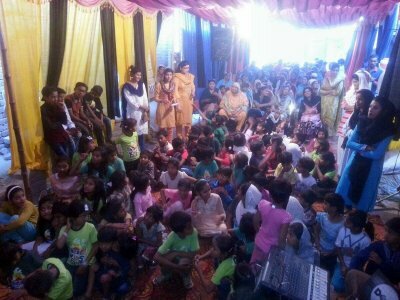 A collaboration with City Church of Praise (CCOP). 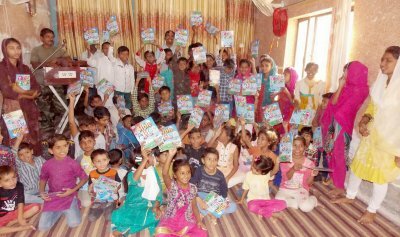 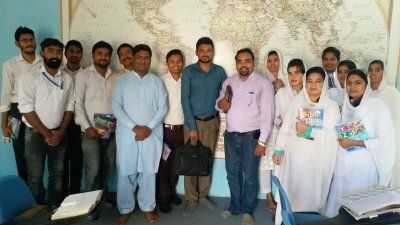 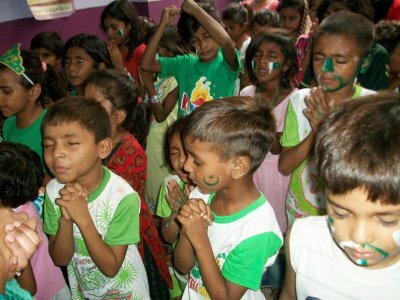 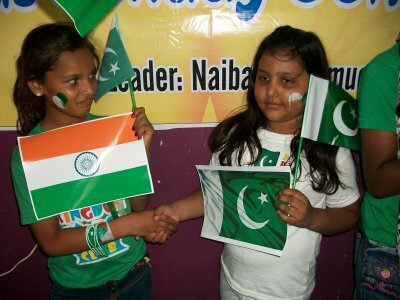 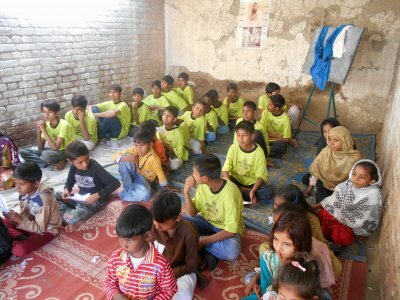 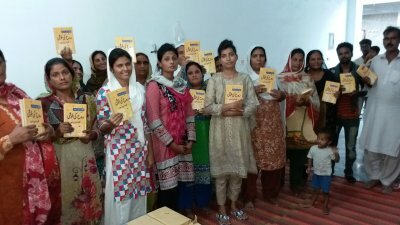 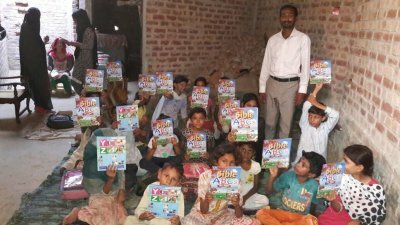 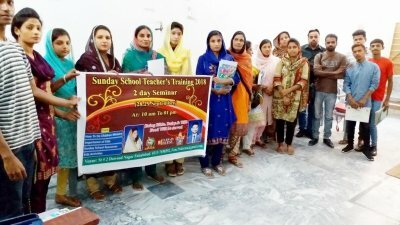 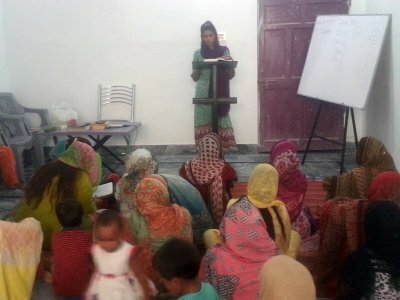 Christian Sunday school provided by KKC Faisalabad in Pakistan. 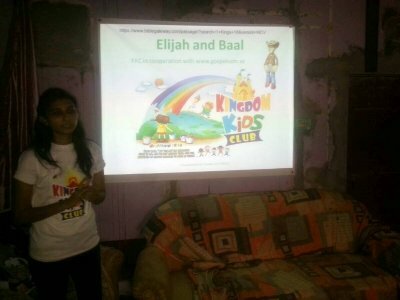 A projector was purchased, and bible stories received from Gospel Sam in Sweden was shown by the team leader Ms. Naiba Emmanuel, January 2018. 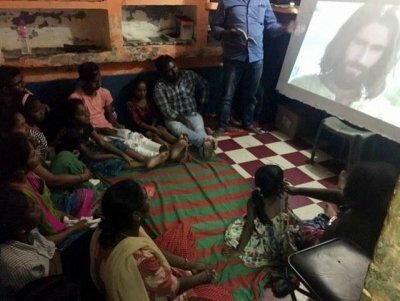 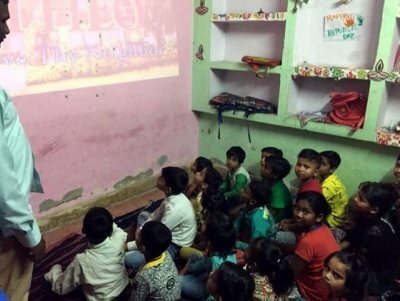 The same projector is also used by "Foundation in Christ Ministries, FCM" to show Christian movies for poor people in rural areas and in the street.